SAN DIEGO – The annual San Diego to Ensenada Race International Yacht Race drew 40 boats to its starting line on Oct. 2, with Mighty Merloe besting the group to set a new course record. Mighty Merloe, a 60-foot trimarand owned by Howard Enloe, set a new elapsed time course record of 2:52:24 on the 57.8-mile course that began off Zuniga Point to just half-a nautical mile from the Marina Coral jetty. 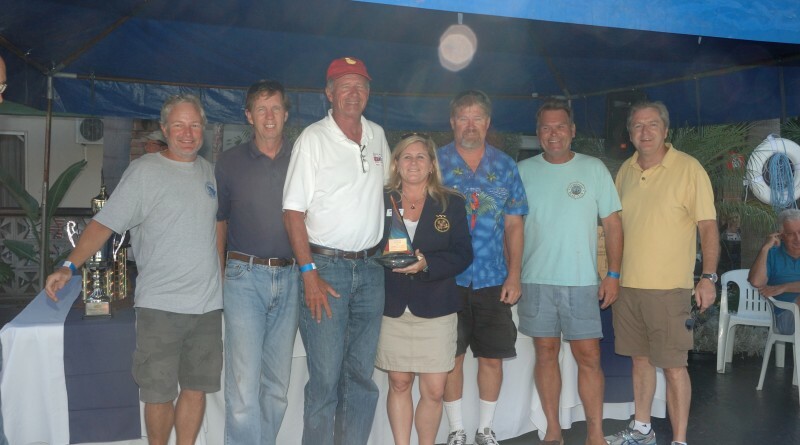 Wani Racing Skipper, Ben Mitchell, and crew with Southwestern Yacht Club Commodore Mary Haller. Blues skies and an average of 8-12 knot winds made for decent sailing weather, along with 2- to 3-foot swells. Racers competed in 10 classes, with four boats from Mexico also joining in the regatta. 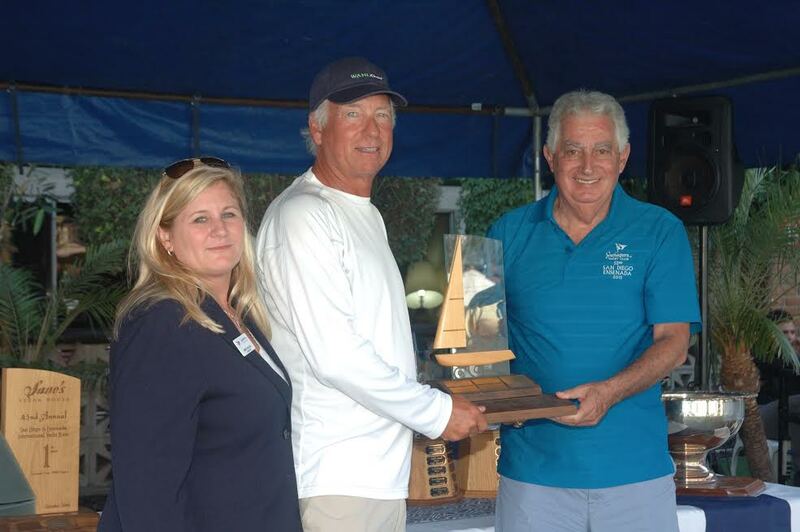 This year’s regatta, hosted by Southwestern Yacht Club, experienced a 30 percent increase in boat participation, according to the club. “The whole immigration and check-in process for the racers was very easy and the Mexican immigration and tourism officials did a great job making us feel at home,” said Mike McNabb, race chair and 2015 Southwestern YC sail fleet captain. 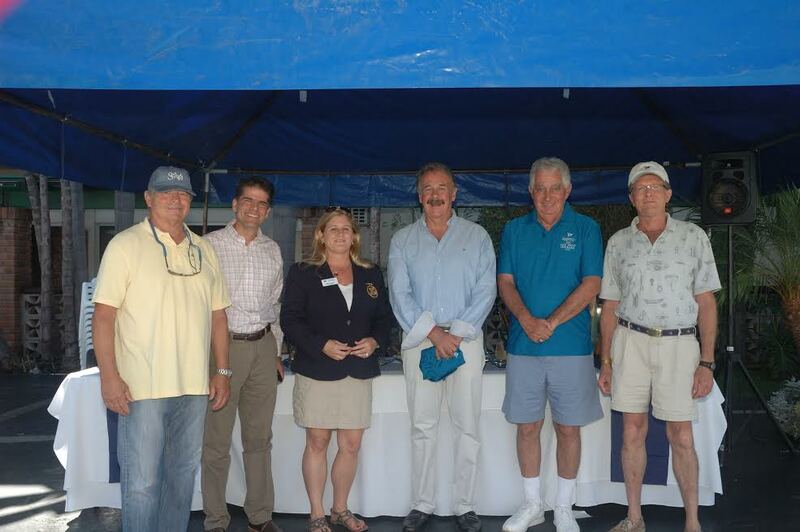 An after-race party was held at San Nicolas Hotel, hosted by hotel owner and tourism promoter Nico Saad and Mary Haller, Southwestern YC commodore, Sandra Sherman, Southwestern YC vice commodore, and Drew Bernet, Southwestern YC rear commodore. Competitors were offered an additional chance to race in Mexico during the Todos Santos Race on Oct. 4. Nineteen boats sailed in the race that took place on a 20-mile course around the Todos Santos Island in Ensenada. Winners are as follows: 1st: Cimarron, David Bashman, 2nd: Poco Loco, Michael Roach and 3rd: Spin, Paul Farrell. Haller poses with Southwestern YC Rear Commodore Drew Burnett and Mexican Tourism officials.